New arrival! This is a luxurious mattress, made with natural fibres and is naturally fire retardant, no chemicals are used. The core of the mattress is made from steel springs sandwiched between coir (coconut husk & horsehair tail bonded together with natural latex) It offers fantastic support & breathability. These fibres are then wrapped in a sumptuous wool fleece which acts as an excellent thermal insulator. 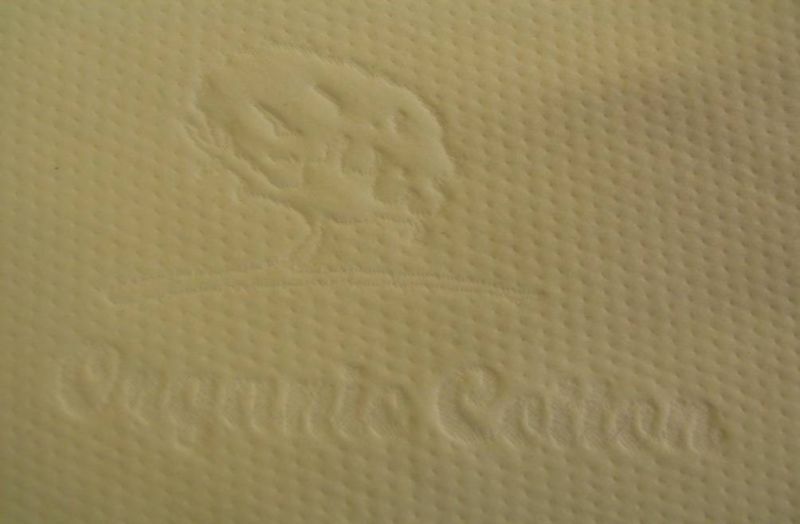 The mattress is covered in Organic Cotton. It is free from all pesticides, fungicide and herbicide residues. Mattress depth is 10 cm. Please leave details of size required. This mattress can also be made in odd shapes such as oval or bow-ended. What organic mattress do you recommend for a bed 169cm x99cm? Can you give options and costs? If you would prefer a firm mattress the best option would be to get a fully sprung or coir mattress. Or for a softer mattress it would be best to get a pocket sprung or foam mattress. The sprung mattresses last a alot longer than a foam mattress. They are all made to British standards and are fully supportive for your child. You can get an organic cotton mattress cover with all the various mattress types. Please let me know what you have in mind and we will be able to help you. Thank you very much for getting in touch with us.